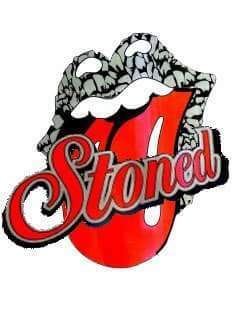 Welcome to the website of Kent based Rolling Stones cover band, Stoned! Stoned’s triumphant performance at one of Kent’s biggest annual Rock festivals, in front of an audience of a reported 3000+ people, has been released on DVD and is available to order now! Another great chance to hear Stoned live, can be found on the live CD album ‘Get Yer Live Licks Out,’ which was recorded and broadcast as it happened around the world on Internet radio, and in front of a studio audience at the Roadhouse Recording Studio, Sheerness in 2015. The 2012 EP CD ‘The Roadhouse Sessions’ and the 2014 album ‘Let Me Bleed’ are also available now on CD! For details of any of Stoned’s recordings, or for general enquiries and bookings, contact us by email today! 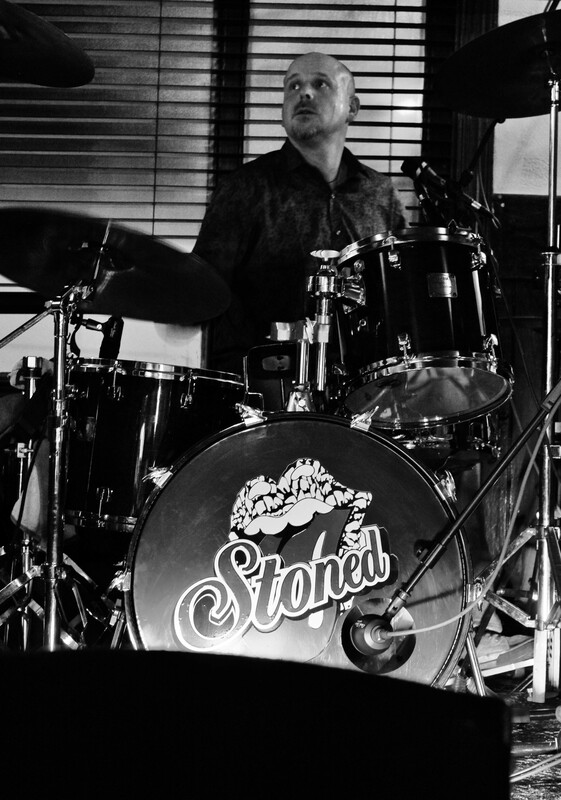 Stoned were formed in January 2012 by vocalist Steven Wood. Rehearsals started within a couple of weeks and the band soon began to realise that there was a chemistry developing in the music. 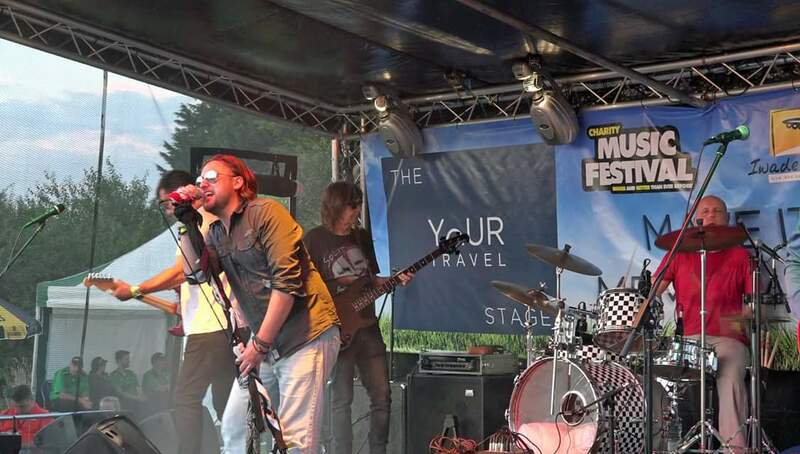 By 2016 Stoned were really perfecting their sound, some line up changes ultimately leading to an even more authentic sound and establishing the band as one of the leading Rolling Stones cover bands around. The band would like to thank you all for your support. Jerry is the newest member of Stoned, replacing long time guitarist Ian Fletcher in March 2018. 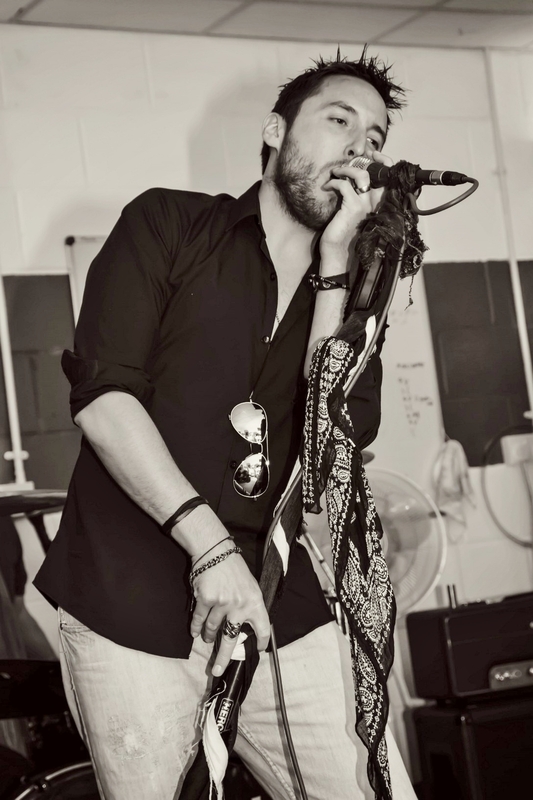 An experienced and talented musician with the perfect style and sound to fit the band, Jerry’s addition ensures the band sounds as authentic as ever. Freddy joined the band in July 2016, replacing Adrian Pounce. Living in Dover Kent, but hailing from the North West of England, he cut his teeth on the Stones in the 70’s and 80’s. His early influences of Rock & Roll were realised when Chuck Berry performed his tongue in cheek brand of Rock and Roll, including the track ‘My Dingle a Ling’. Fred’s yearning to play guitar and songs like ‘Johnny Be Goode’ was the starting block, and it was the R&B of the ‘Rolling Stones’ that was the catalyst to hitting that first riff. Stretching his relative immaturity to the likes of the late great, ‘Alvin lee’, ‘Cream’, ‘Free’, ‘Faces’, ‘Santana’, and indeed later on ‘Jimi Hendrix’ and anything that created a buzz, the better the lick, the bigger the kick. Learning and playing these classics was a complete escape for Freddy, which drove his determination and imagination to realise a dream. By the mid to late 70’s Freddy’s influences were embedded solidly in the Rock genre and he became a regular on the pub rock circuit around Manchester and Liverpool, playing R&B with weekend residencies in the seaside towns of Blackpool and Morecombe. Playing sometimes up to 4 nights a week and getting the odd support slot with ‘Her and Now’ and ‘Scorpions’. Fred recalls one notable potential slot supporting ‘The Climax Blues Band’ in Newcastle at the City Hall, which due to logistical reasons was unfortunately impossible to coordinate at the last minute. They were told the next day that a local band called ‘Dire Straits’ had taken the Gig instead. The rest is history as they say.. By the 80’s along with the other guys in the band, Freddy took a leap of faith by packing in his day job and embracing his musical career. Initially playing 60’s, 70’s & 80s covers, in bars and rank messes for the Allied forces bases in northern Germany for 6 months at a time, and on return they worked hard to establish an identity as ‘Spellbound’. In his late 20’s it was becoming harder for Fred to maintain a living in the music business. He married and started a family and decided to pursue an opportunity to go back to Electrical Engineering. He relocated down to Kent and started a new life, whilst maintaining his musical links in the Northwest. 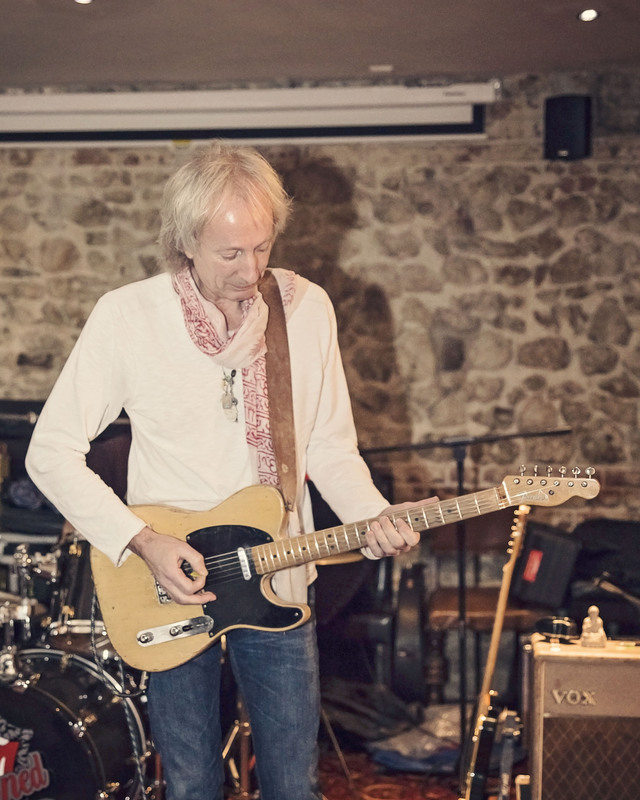 Even after 25 years of playing, his enthusiasm for his guitar hasn’t dulled and his mission is to help ‘Stoned’ deliver the music of the Rolling Stones – arguably the most notable, recognisable and outstanding R&B of the last 50 years. Enjoy the ride along Route 66! Paul became Stoned’s third bass player, when he replaced Darren Cast in May 2016. 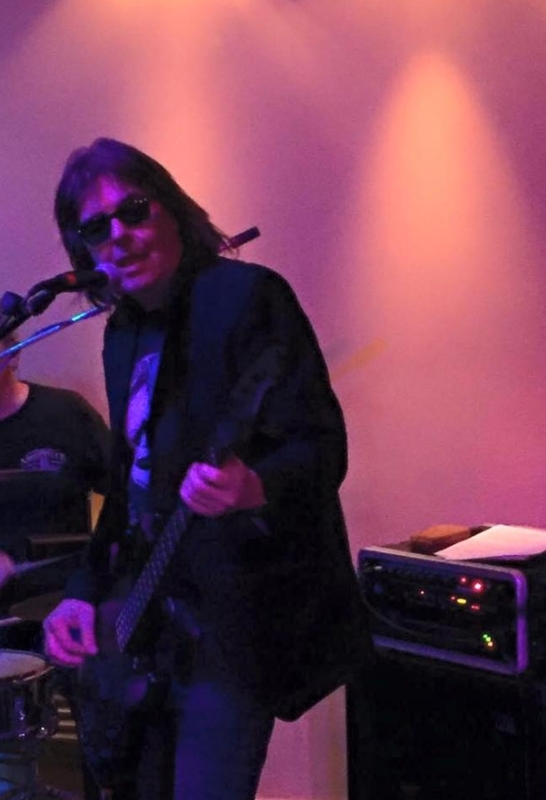 A very talented and experienced performer and musician, Paul has been active on the music scene since the 1970’s, playing with early bands including ‘Bazza’ and ‘Pipedream’, up to more recent bands like ‘Poor Monkeys’ and ‘Split’. He is heavily influenced by rock and blues from the late 1960’s and early 70’s. 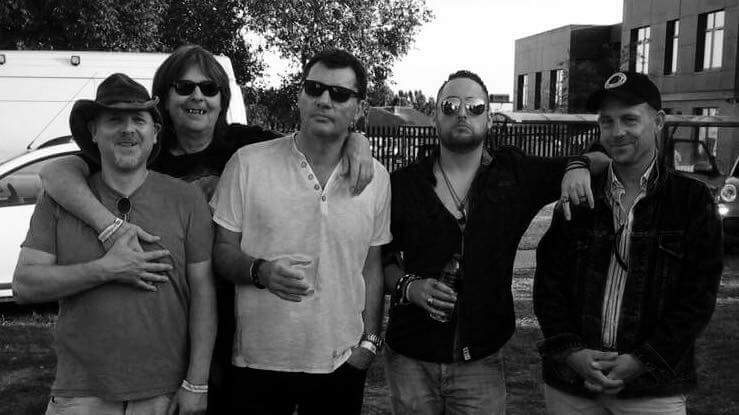 Former ‘The Bresslaws’ bass guitarist Paul Fox was an original member of Stoned, part of the band from the very first rehearsal through to his final gig at The Aviator Beer Festival ’12 and plays on the first Stoned EP ‘The Roadhouse Sessions’. 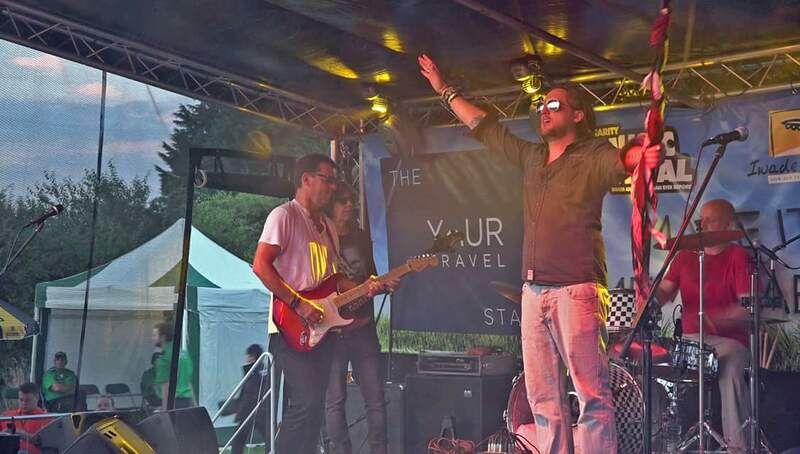 Paul was a big part of getting the band up and running and is currently playing bass guitar for rock covers band ‘Slipway’. 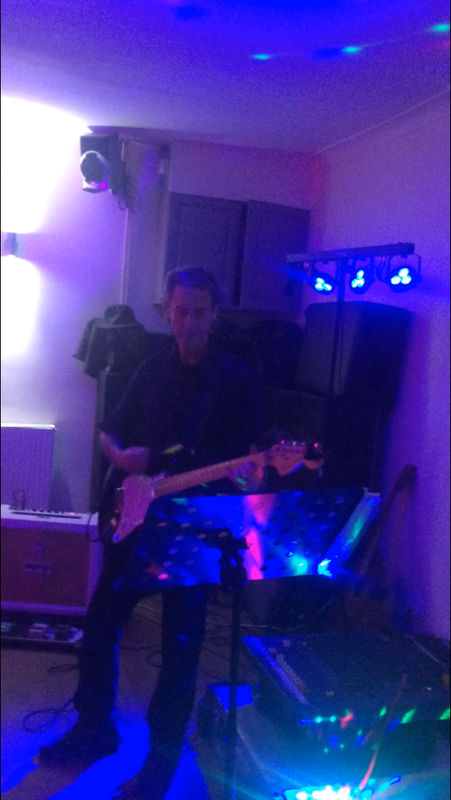 Darren owns the bands usual recording studio and rehearsal room, The Roadhouse Recording Studio, in Sheerness, Kent. Darren was a huge part of Stoned for a number of years, after replacing original bassist Paul Fox. He can be heard on the recordings ‘Let Me Bleed’ and ‘Get Yer Live Licks Out’. He currently plays bass guitar with indie rock band ‘The Narratones’, along with other projects. 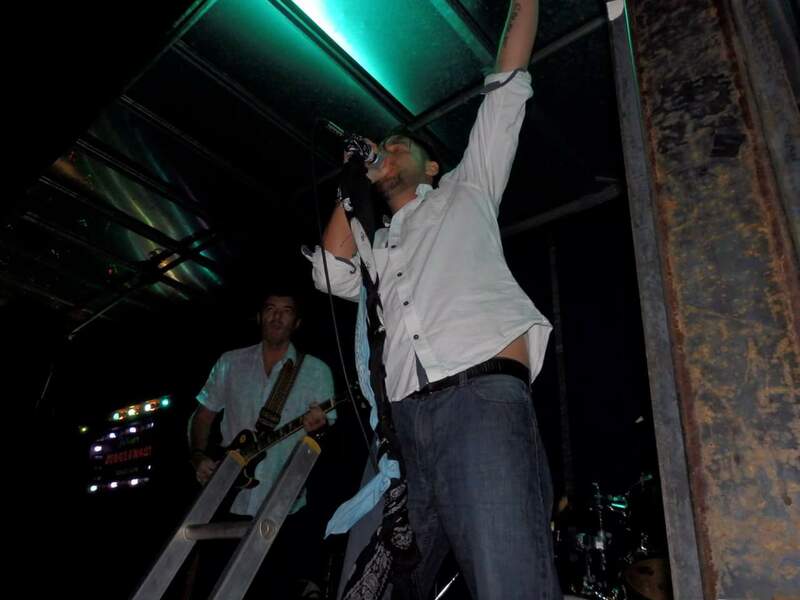 Glen was an original member of Stoned and a key part of the bands early success. Vastly experienced in performing and writing music having played in numerous bands, most recently ‘Souled Out’ before joining Stoned. He left the group in May 2014 for personal reasons having played on both Stoned CD’s ‘The Roadhouse Sessions’ and ‘Let Me Bleed’. Glen is currently working on new projects. 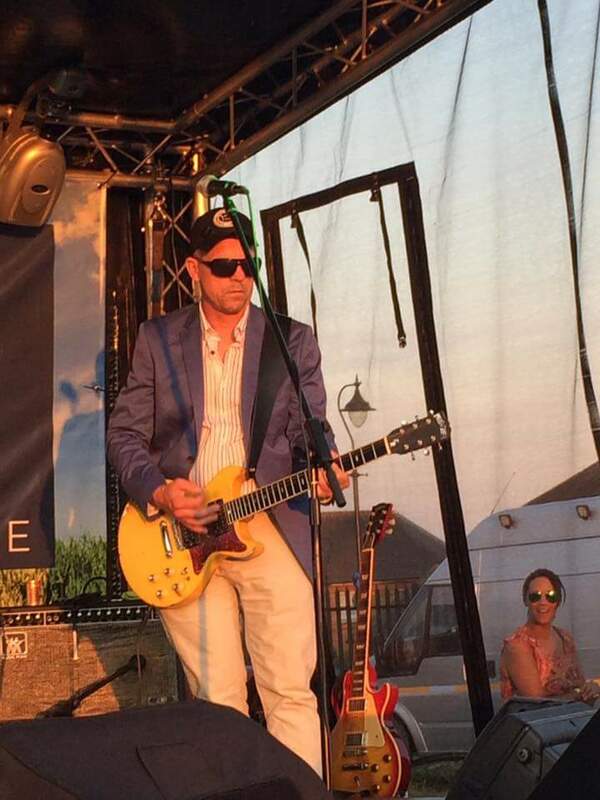 Mark replaced original rhythm guitarist Glen Smith and was a member of ‘Stoned’for just over a year, appearing on the bands live album ‘Get Your Live Licks Out’. Mark is currently the songwriter and frontman of Heavy Metal band ‘Shameful Behaviour’ and the guitarist for rock covers band ‘STYG’. Adrian joined the band replacing Mark Simpson in late 2015 and played with the group for a short time until the early summer of 2016. He currently plays in another Rolling Stones tribute act ‘Not The Rolling Stones’. 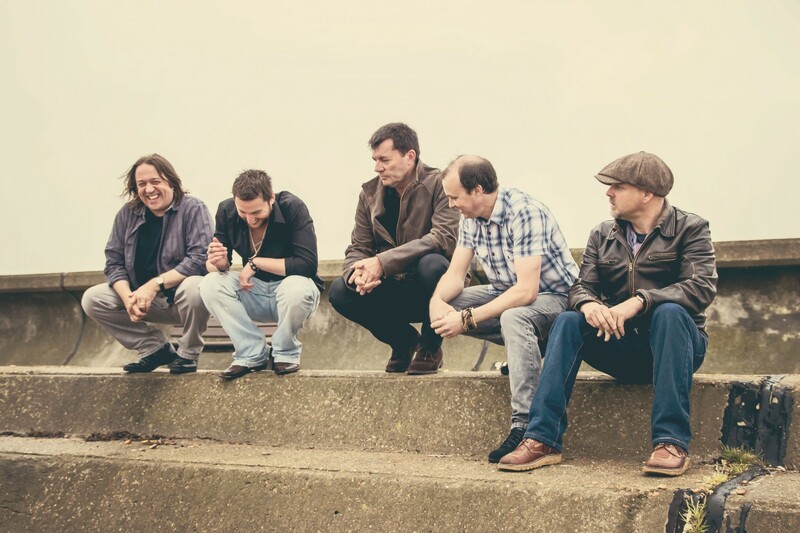 Ian joined the band in 2014 replacing original lead guitarist Rob Jenks. 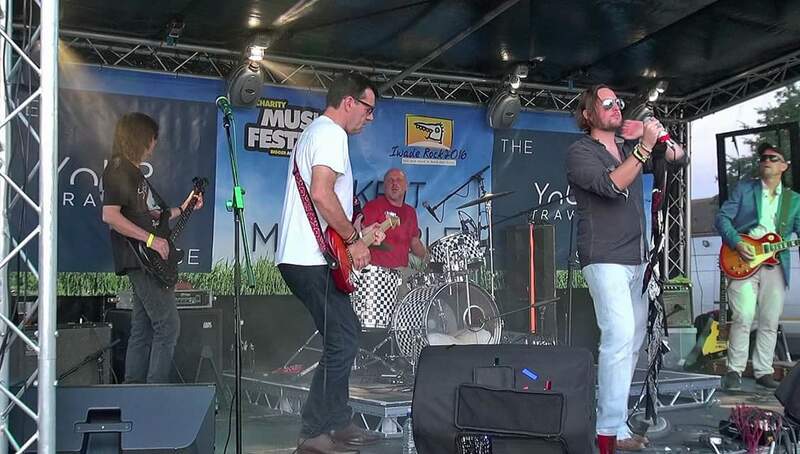 Known for his impressive Mick Taylor style, Ian was a huge part of the band until his departure early in 2018. He is currently working on other projects.